It’s always exciting when a new family moves in on your block. But a couple years ago, I got the added bonus of a skateboarder moving in! Husband and father David Farrell lives right across the street from me, so we get to skateboard together just about whenever we want. 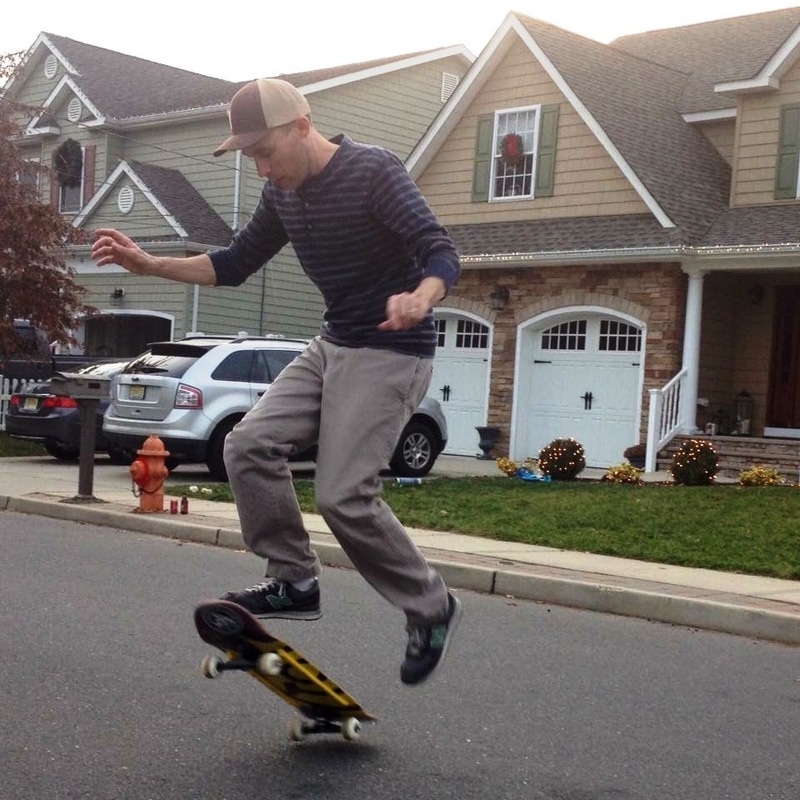 While our children play together so do we, ollieing up the curbs and working on our flatland tricks. Like myself, David Farrell started skateboarding in the late 80s, but when he wasn’t launching off the 3’ jump ramp his father built him, he focused more on freestyle, and still has a vintage Powell Peralta Kevin Harris that he breaks out from time to time. And bonus, his wife went to high school with and is still friendly with NJ skate legend Tim O’Connor! 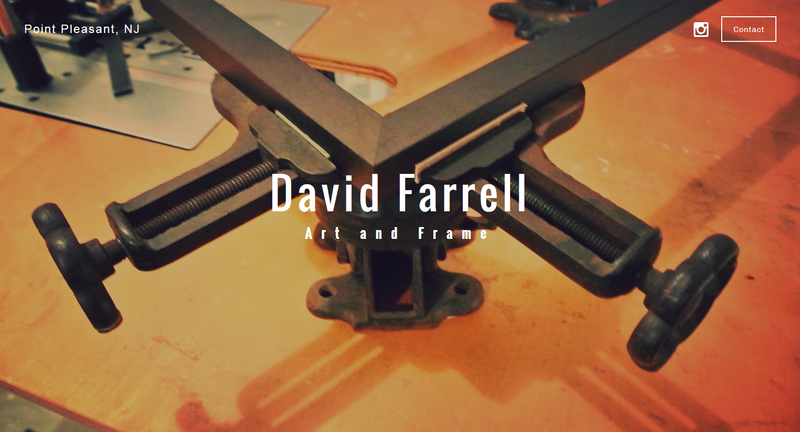 David Farrell owns and operates his own small business called David Farrell Art and Frame. For almost a decade he had his own storefront in downtown Little Silver. There he developed a reputation–and a loyal following–as a skilled and meticulous artisan. The economic downturn of 2009, though, was a difficult time for many small businesses, and it forced David to close the store front in Little Silver. But he didn’t give up on his art. Instead, he now serves his loyal customer base from workshop in his home. In fact, he is currently working on a framing project for my mother Mary right now. So when you’re ready to frame and hang your old skateboarding pictures, I hope you’ll contact David! 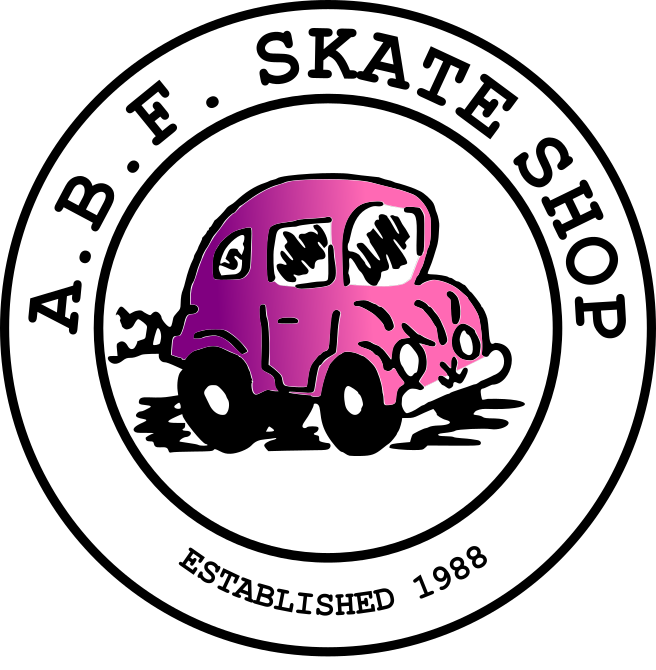 Check out his website, www.davidfarrellartandframe.com, and follow him on instagram @davidfarrellartandframe. A few months back David hopped on my Nimbus and pulled this fakie pop shuv-it. 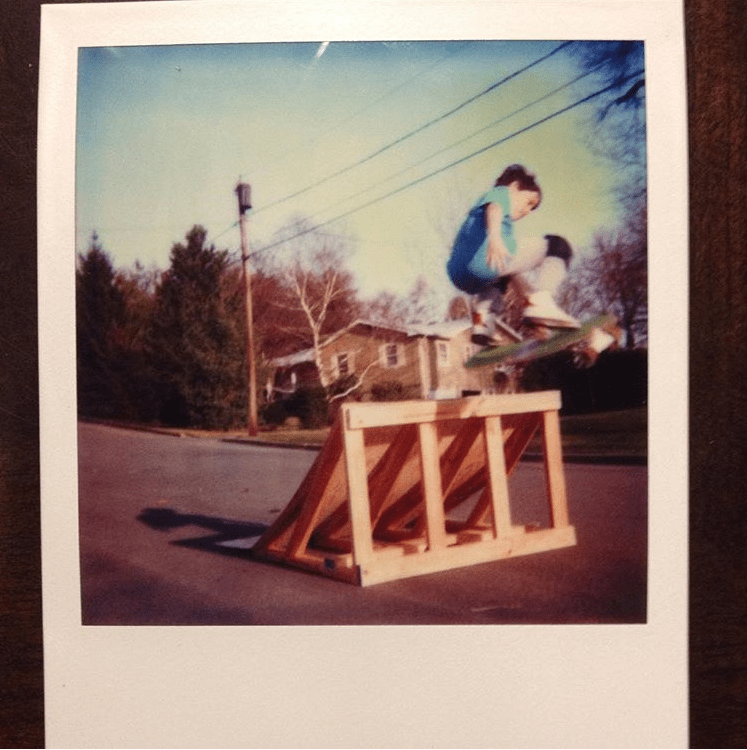 Here’s young Dave luanching off a 3′ jump ramo his father built him in the late 80s! Note the nice frame! 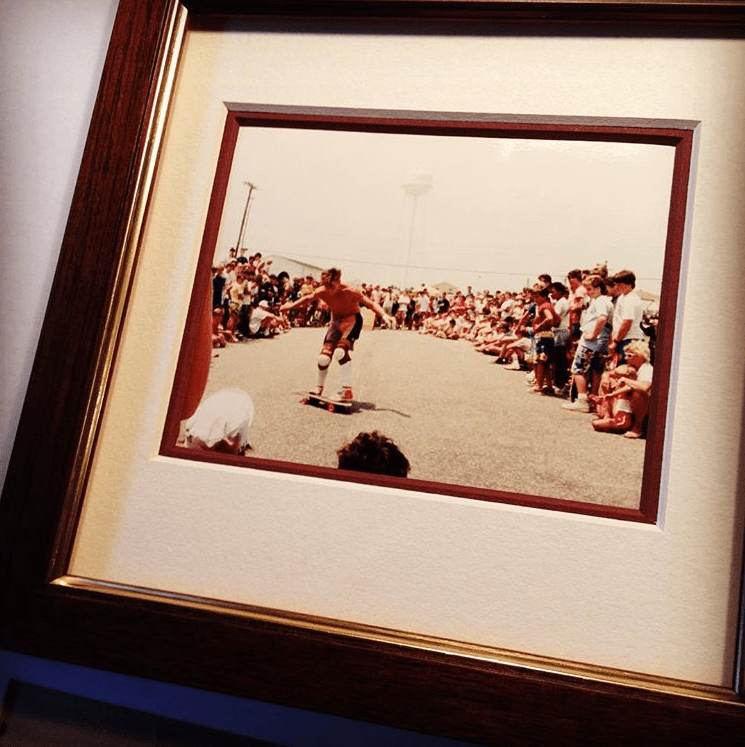 David was just a little boy when he took this picture of Rodney Mullen giving a demo on the Jersey Shore in the late 80s. He recently framed the picture! 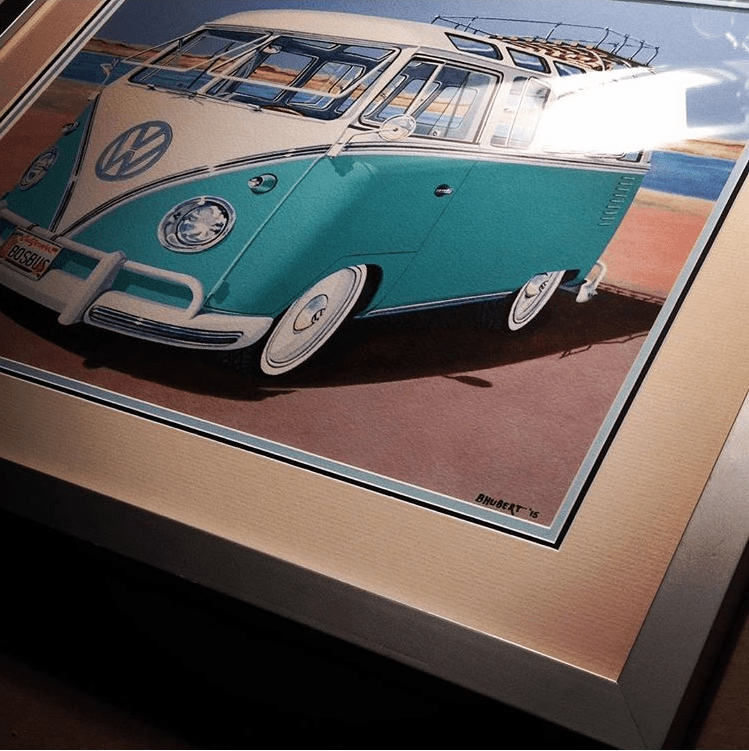 David framed this beautiful Volkswagen bus.